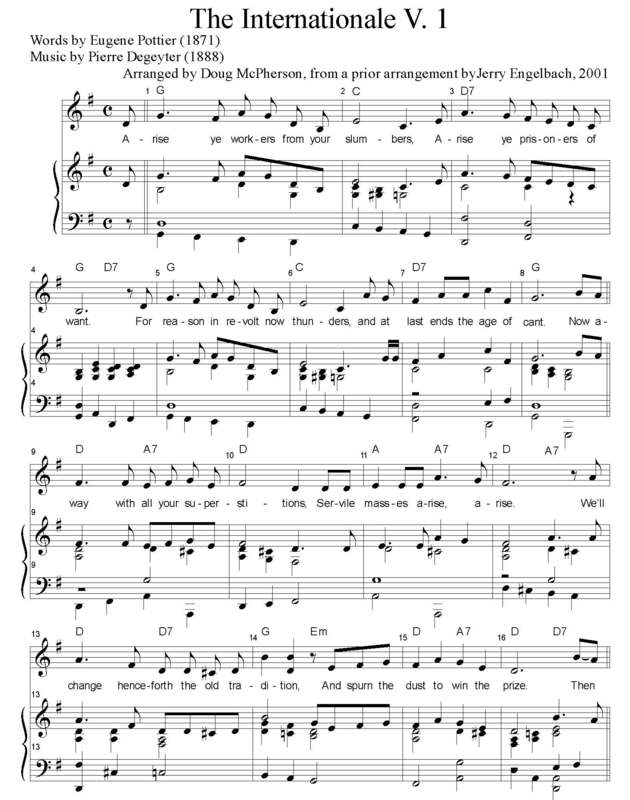 Here is an arrangement of this truly revolutionary song, The Internationale, the original words by Eugene Pottier (1871), and music by Pierre De Geyter (1888). This arrangement in G major, for the Illawarra Union Singers, by Doug McPherson (2016) from an arrangement by Jerry Engelbach, (2001). 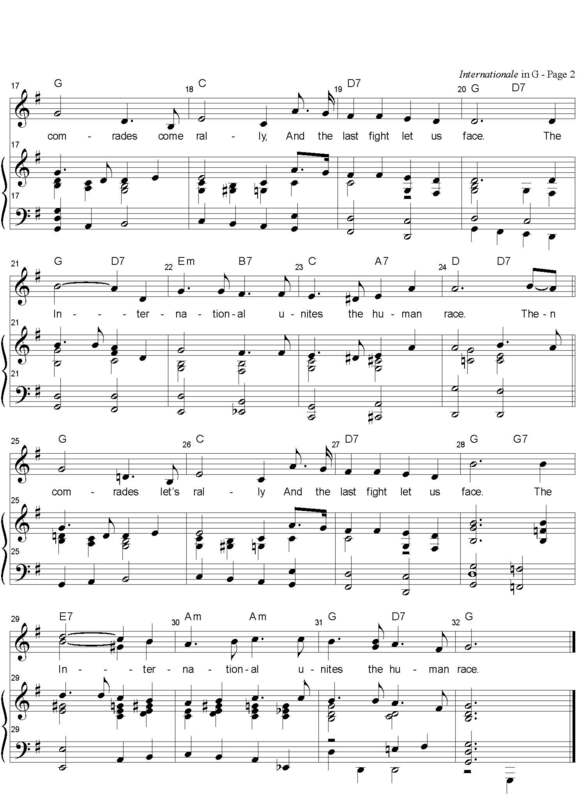 Sheet Music With Words: Latest version repeats last line. Practice Tracks: On a PC, right click on the title to download; on Android, click and hold. Version Changes: This document details what changes may have been made from previous versions. Some performances to guide and inspire: Firstly, Arturo Toscanini, himself a refugee from Fascist Italy, conducting a choir and orchestra, in a performance censored by the US government. Note the use of dynamics. The Red Army Choir and Orchestra performs revolutionary songs rather well. And finally, the music in .jpg format.